Today is the time when youths are no longer interested in cars, especially in Japan. 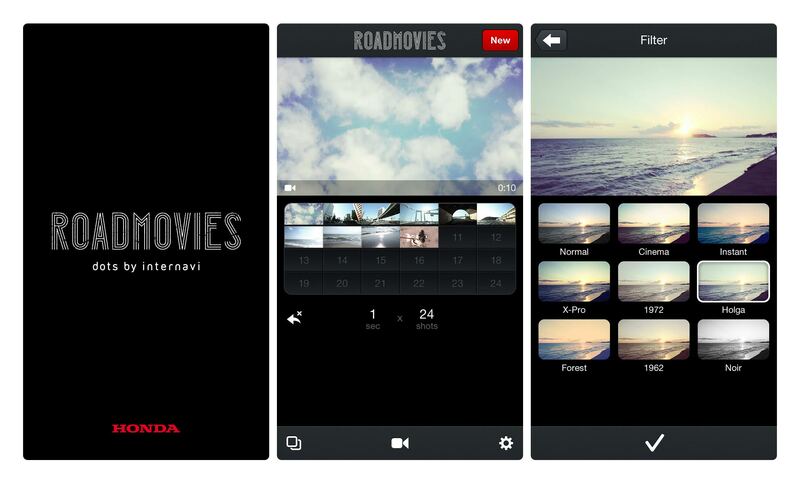 In order to create a new way to connect with the consumer, Honda created “RoadMovies” a service that would enhance their everyday lives. By using this app, users can easily make a movie-like motion picture by simply filming several short footages and choosing a music. The concept of this app is “every road you pass by, every place you go, everything you find, every person you meet will become your road movie.” There is a mode that will automatically capture the drive itself, but intentionally, the app is designed not to be limited within that usage, and made it so that it is enjoyable in everyday life. Also, by making the final movie as 28 second, a rather short movie, the movie became something easy to upload and share. Without any substantial promotion, the app had over 4.4 million downloads as of March 2014. This app became number 1 within the free app category of iPhone. Reaching beyond the Japanese users, this app successfully connected the youths and Honda around the globe.